Ashlyn is a wonderful photographer. I am not the picture taker, and I must say in Ashlyn’s lens that all changed. She captures amazing shots and makes every bride feel like a beauty queen. I haven’t seen a photo that I haven’t loved. She works with every budget, is kind and very professional! Highly recommended. Ashlyn is the BEST of the BEST! You cannot go wrong with choosing her. She is one of the sweetest people you will ever meet. You cannot help but smile around her because her cheerfulness is so contagious! And she maintains this sweetness under the pressure of running a wedding! She runs the show and will make sure you get every shot you want. We used her for our engagement and wedding and I know we will be using her for our future photography needs! She is very organized, a great communicator, and will answer any question you have! Her photos are beautiful and you will be gushing over the pictures for years to come. She works with a person who makes beautiful wedding albums which makes things very convenient!!! You will not be disappointed if you chose her! If you want more information, feel free to email me at laurenmferrara@gmail.com ! Thank you Ashlyn! Ashlyn was recommended to us by a family member with a background in photography, so we knew from the beginning that she would take wonderful, high quality photos. What we didn't know was how much she would be part of our day, helping us organize, and keeping us sane during the chaos of our wedding day. I come from a big, blended family, and Ashlyn did an incredible job keeping everyone on track. She took control of the situation and got everyone in and out quickly. There were more than a few times that I got flustered because having so much family around can be trying, but Ashley stayed cool as a cucumber and got everything done. She spent lots of time walking around the location with us, taking a wide variety of photos so that our album won't all look the same. She also agreed to stay a few extras on short notice because we decided last minute that we'd like the extra coverage. Ashlyn is incredible talented and even more of a pleasure to work with. On your wedding day you want to ensure that you capture the special moments, but it's even better to have someone there that you truly enjoy and helps make your day even easier. Ashlyn's photos are beautiful, soft, and each one is perfectly frame-able. If you want gorgeous photos and great experience, contact Ashlyn ASAP! One of the most important memories you have from your wedding is pictures. Mine are something I plan on cherishing forever. Ashlyn's professionalism, attention to detail, and just all around pleasant demeanor made her an absolute treasure to work with. Not only did she take every single portrait I wanted, but she captured beautiful shots through the entire wedding. Also the turn around time on my pictures was outstanding. Because I'm extremely impatient. Still to this day I'm in love with every single photo we have, and I'm thankful one of the best choices I made was working with Ashlyn. You won't be disappointed! Ashlyn does an amazing job capturing each person's joy and love!!! She's talented! To definitely book her! Ashlyn takes amazing photos that you will not be disappointed with! Ashlyn was very responsive when I wrote/texted her regarding information about our wedding photos. She was very easy going and very respectful of my thoughts and ideas. At the event, she go along with everyone as if she knew them forever; even though my guest where about 25 people, they we're a tough crowd to please (everyone wants to be the center of attention even though it's the bride and grooms day), but she handled it very well; getting everyone together for shots perfectly and professionally. I would definitely recommend her for any photography!! Ashlyn is incredibly kind and thoughtful in her work. She helps guide the whole process while making it fun and never being in-your-face about it. She is unbelievably talented, has a great eye, and makes the whole experience enjoyable rather than stressful. She's a dream to work with — so responsive! — and trustworthy. Would absolutely recommend her to a friend! 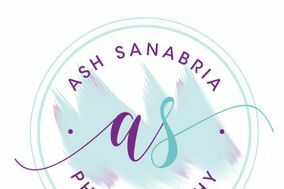 Ash Sanabria Photography was responsive and professional from the gate. I had the pleasure working with her and my cousins wedding a year prior and immediately asked for her contact information Working in events I wanted to be sure I picked someone with an excellent pro-folio that does weddings. She truly thinks out of the box and gets shots that you and your family will cherish for a lifetime without making it feel like work/hassle on your big day. Ashlyn was spot on with being on-time and available to stay longer if I needed her.